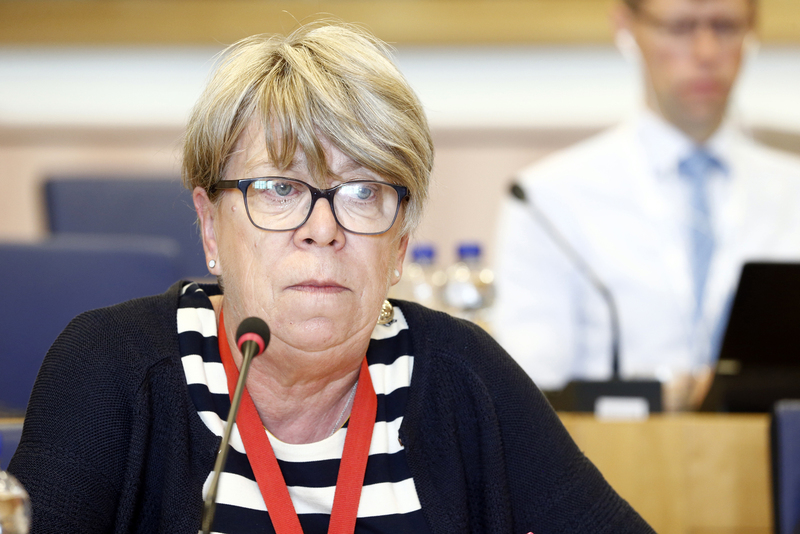 Barbara Duden, Member of Hamburg City Parliament, Germany, took the floor at today's CoR's plenary session in response to the intervention of Juliane Bogner-Strauß, Austrian Federal Minister for Women, Families and Youth, who briefed CoR members on the priorities of the Austrian EU Presidency. In her speech, Duden strongly criticized the lack of EU solidarity in the migration debate, which all too often is based on so called 'national interest'. "The position of several national governments is more than shameful. We need to stand up for human dignity instead of focussing only on the protection of borders. Cities and regions are demonstrating on a daily basis that innovative solutions for the successfully integrating migrants can be found, but we need support! We need common European solutions, based on shared values and solidarity not just between countries, but first and foremost between human being." Regarding the future of Europe debate, Duden - – who is also the President of the CoR's Commission for Citizenship, Governance, Institutional & External Affairs – raised the Group's keen interest in providing creative solutions for a strengthened European Union. "We need to develop new forms of participation for citizens and provide solutions in in the best interest of citizens across the EU. Here, too, local and regional authorities can play a role of laboratories of innovation and democracy." Last but not least, she welcomed Austria's intention to improve gender equality in Europe, a topic which is a top priority of the PES Group, which recently adopted as first political Group in the CoR a Code of conduct on gender quality.